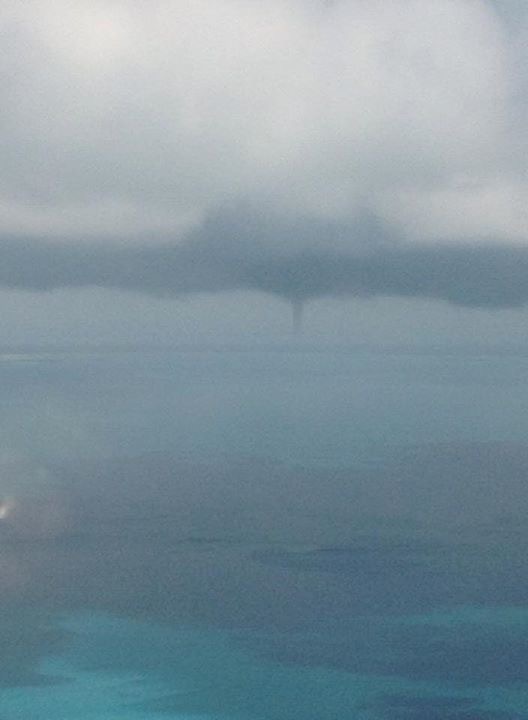 This waterspout was spotted by one of our pilots last month near the coast of the Bahamas. A waterspout is an intense columnar vortex (usually appearing as a funnel-shaped cloud) that occurs over a body of water. Basically, it’s a tornado over the water!